I invited mostly women of all ages, so I picked a gift I thought would have the broadest appeal and also be useful. 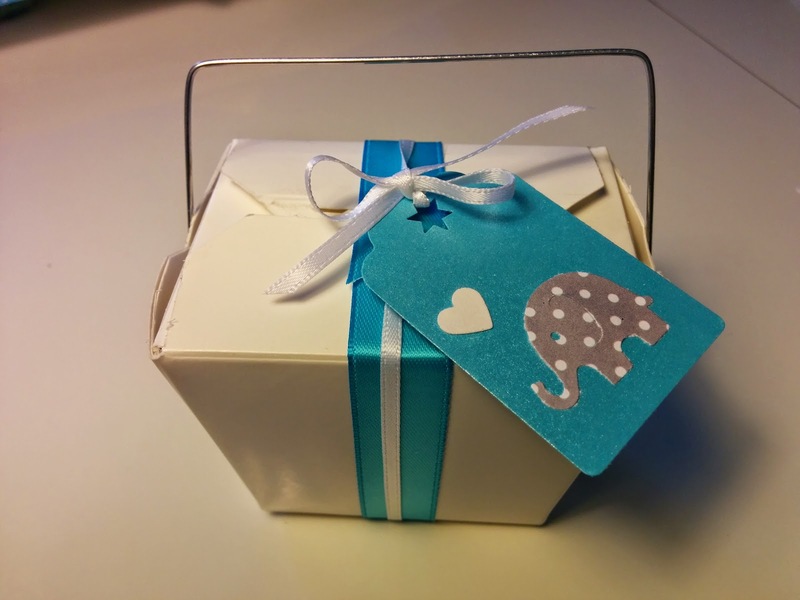 You can search Etsy for inspiration, just search for "Baby Shower Favours" and "Bridal Shower Favours" and see what inspires you! 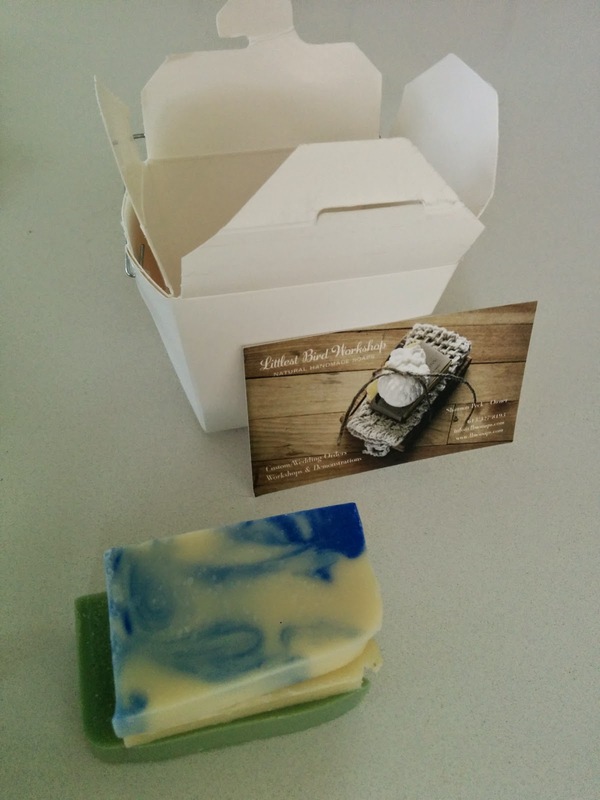 I found a few great examples of small handmade soap sets which I loved. 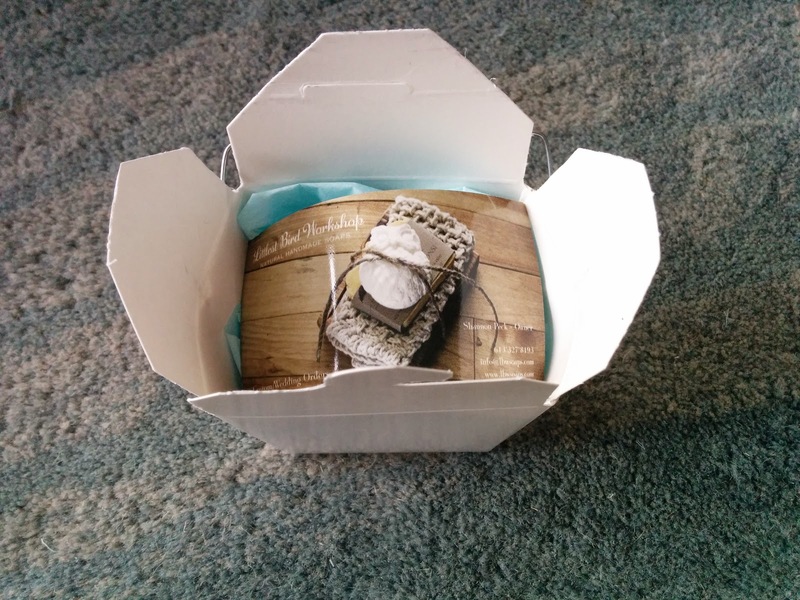 To support local and save on shipping, I emailed Shannon from the Littlest Bird Workshop that I'd met at a craft show earlier in the year to see what she could do. Tip: If you don't know an artisan in your area, you can filter Etsy shops by location. You can contact any seller directly to ask questions, and many are happy to provide custom orders! 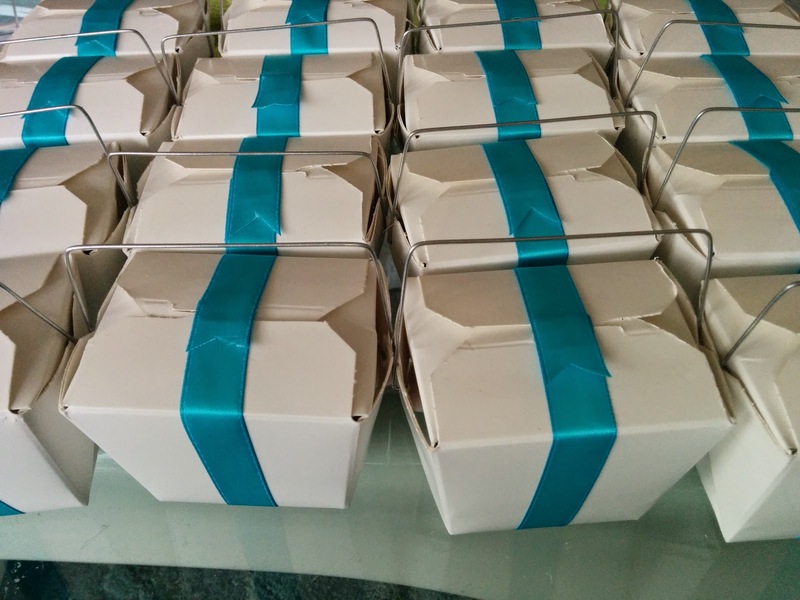 She pre-cut them all to size, and would have even bundled them up beautifully, but I decided to go the extra mile and package them up to go with the theme of my baby shower. 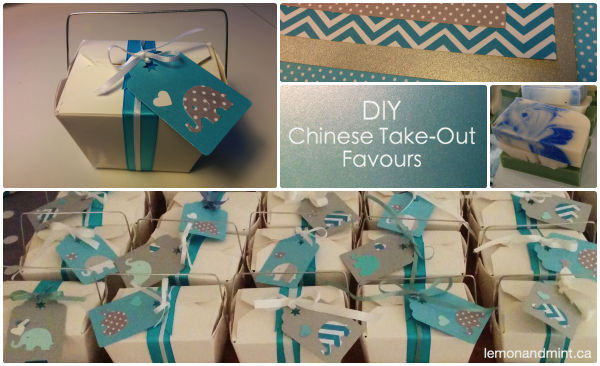 I already had about 40 Chinese take-out containers that I'd picked up at a garage sale for $1 two years ago, so this seemed like the perfect opportunity to make use of them! The model I used is the Foldpak 8 oz, but in retrospect a size larger would have better accommodated any favour so if I was purchasing containers for a similar project I'd probably pick a slightly larger size. 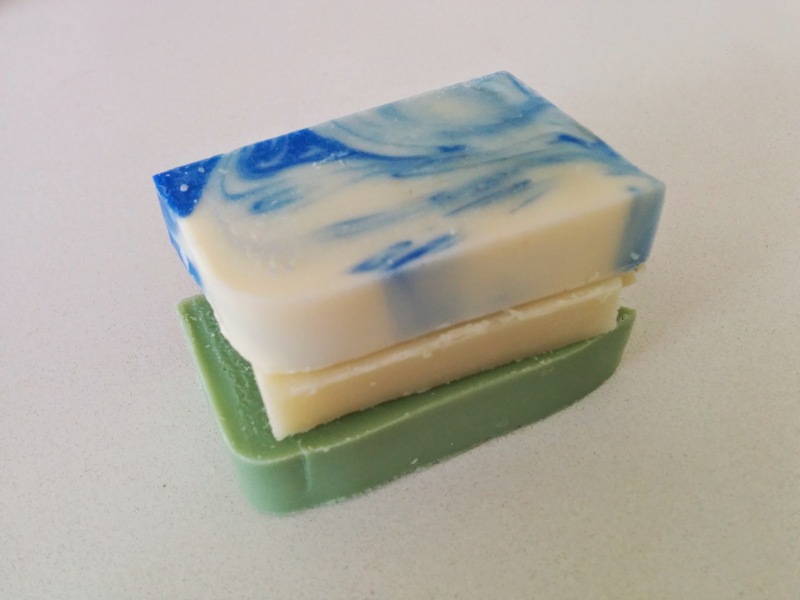 How the little soaps measure up for size! I also purchased a roll of blue ribbon from Michael's, and used up different colours of narrower ribbon I already had around the house. Don't be afraid to mix multiple shades of similar colours to achieve the overall effect you're looking for! 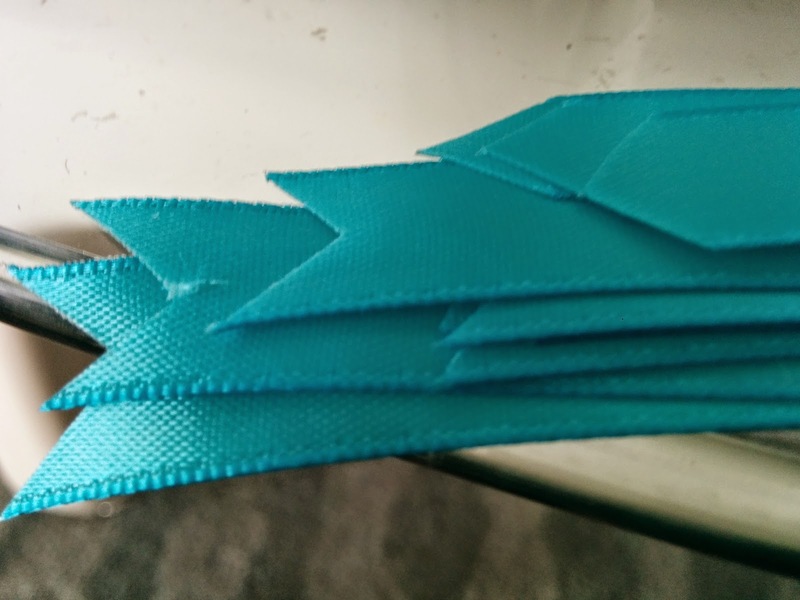 After measuring the ribbon for your first container, measure and cut all of the ribbons at once to save you time. 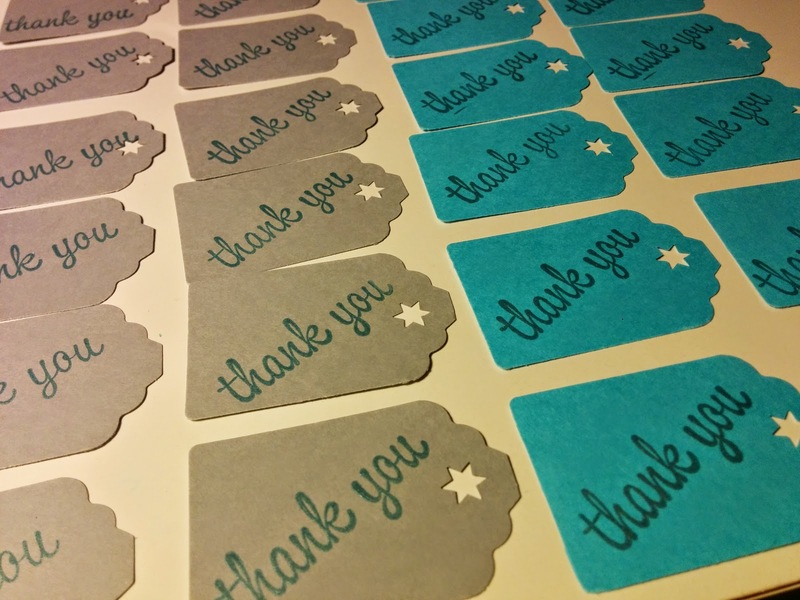 I used two sheets of card stock from Michaels to cut out tags using the Recollections Lever Punch Tag and a tiny star punch and then stamped the back, less shiny side with a Thank You stamp, also made by Recollections. 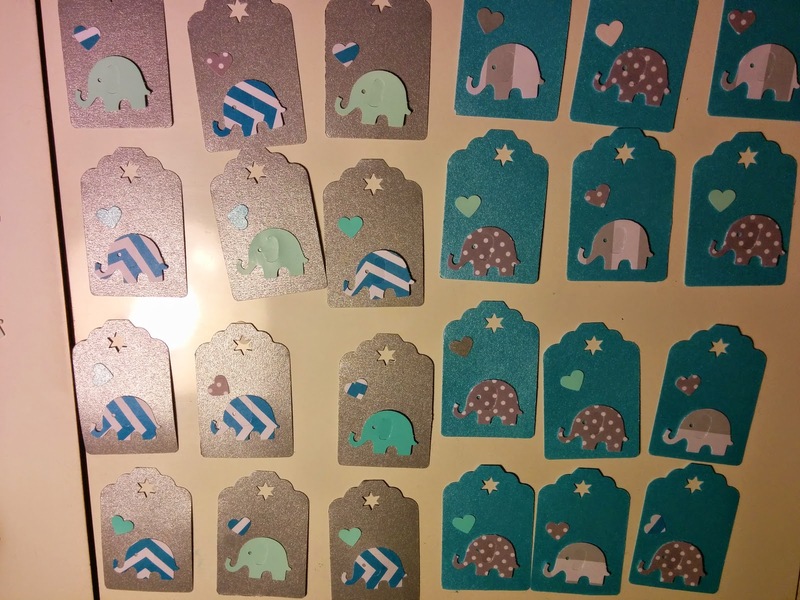 Using Martha Stewart's Elephant Punch, I punched out paint samples and some scrapbooking paper to make a variety of elephants and hearts to glue on top. Don't be afraid to mix and match shades of similar colours, it lends more interest. I love how these turned out, and especially how the mix of colours added interest to the dessert table at the baby shower.